We are very pleased to inform you that BES is going to launch a new series of exciting talks, "Let's Chat Biomedical". The talks aim to bring up the hottest topics within the Biomedical Industry and promote insightful sharing and discussions between the participants and the speakers. 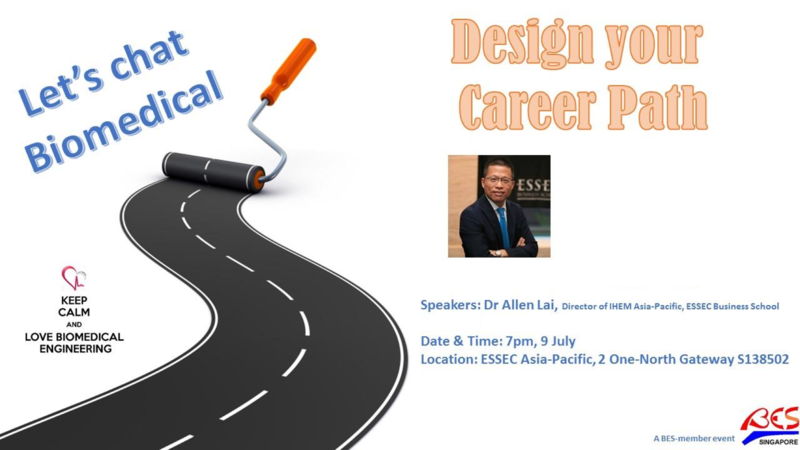 Our very first talk is coming in July and the topic is "Design your Career Path". We would like to invite you to join us! Light refreshments will be provided after the sharing session.